In this article I am going to explain how easy and fast it is to install Visual Studio Code on Ubuntu 18.04, One of the most popular Linux distribution. To install Visual Studio Code on Ubuntu 18.04/16.04, we can use either gdebi package manager or vscode apt repository. We will look at both methods. The easiest and best method is to download the vscode .deb package and install it using the gdebi command. So first of all make sure you have install gdebi-core package on your Ubuntu Desktop. Next, we need to download vs code for Ubuntu, Go to vscode download page and download the .deb package for Ubuntu 18.04. And that is all you have to do to install vscode on Ubuntu Linux. It is also possible to install visual studio code on Ubuntu with apt repository by doing the following steps. 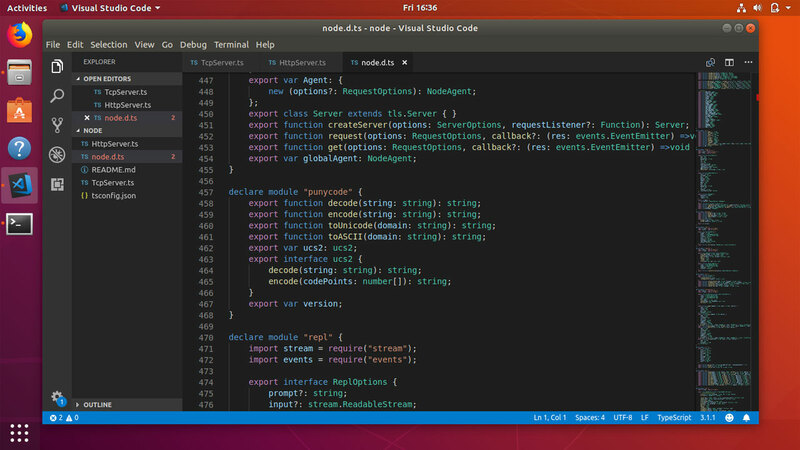 The vscode IDE includes a command line tool called code which can use to manage the IDE directly from the Ubuntu terminal. VS Code is a lightweight IDE from Microsoft used for web application development and can be installed on Linux, Windows and MacOS.